Pithapuram, formerly known as Peethika Puram, is one of the holy towns of AP located in East Godavari district 15 km away from district's head quarters Kakinada. This temple town is considered one among the Ashtadasha Shakthipeethalu. Coming to political scenario of AP, Janasna chief Power Star Pawan Kalyan is seriously mulling over to contest from Pithapuram constituency. There's been a fantastic strategy involved in opting for Pithapuram. Pithapuram was one among the constituencies won by Megastar Chiranjeevi led PRP in 2009. 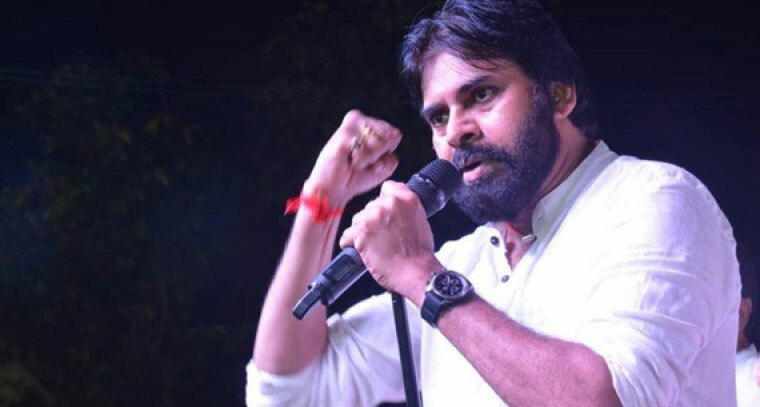 If at all Pawan Kalyan contests from Pithapuram, Janasena will get enormously be strengthened in all the adjacent 10 constituencies including Kakinada Lok Sabha constituency. On a whole, Pawan Kalyan's candidature will create huge impact in entire district. On the other hand, local TDP MLA Varma is being considered as junior Chintamaneni with his monopolistic acts. He recently, humiliated a municipal woman officer letting her cleared rubbish from a drainage canal with her own hands. As such, even in dreams it will not be possible Varma winning in the constituency. YCP has no crazy leaders on cards. Even if Mudragada Padmanabham maybe roped in for the constituency against Janasena, the same candidate was defeated by PRP in 2009. Hitherto, rumours were triggered that Pawan Kalyan would contest in two constituencies for elections. But the grapevine suggests he would opt for just one constituency and which is more likely, Pithapuram.